What does tile do for my land and crops? How does Tile impact downstream environments? Does Tile make sense on my farm? 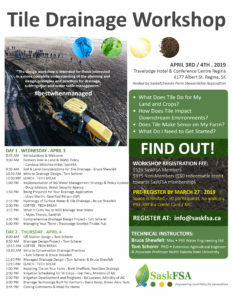 If so, then SaskFSA’s upcoming Tile Drainage Workshop is for you. 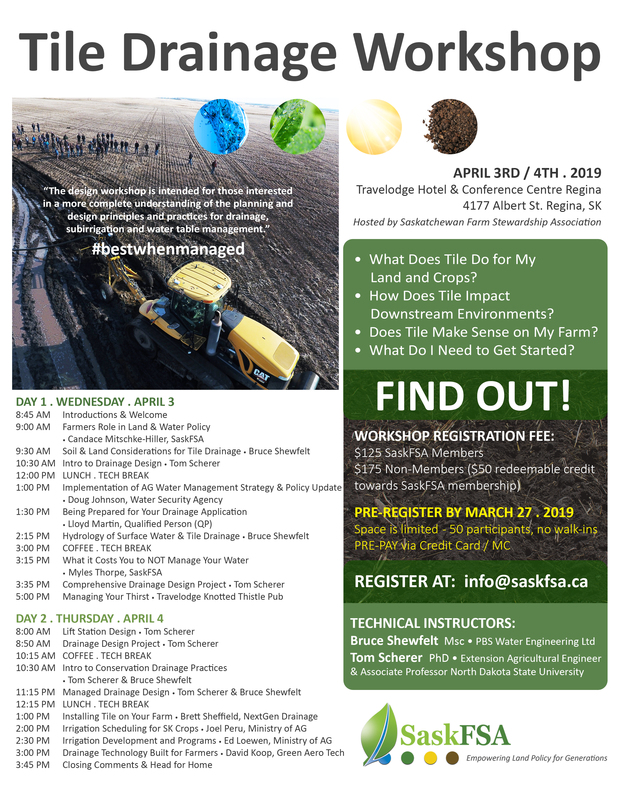 This design workshop is intended for those interested in a more complete understanding of the planning and design principles and practices for drainage, sub-irrigation and water table management. Learn about how tile drainage can impact nutrient movement in water and best management practices that can provide both water protection and agronomic and soil benefits. $175 Non SaskFSA Members ($50 redeemable credit towards SaskFSA membership). Stay tuned for details on the presenters!